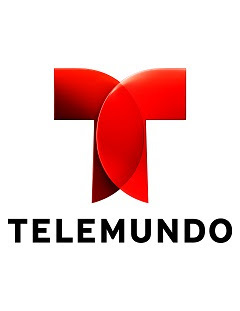 MIAMI – May 9, 2014 – Telemundo network announced today it acquired the exclusive media rights for the United States of all the home games of the Mexican first division soccer team Pachuca, beginning with the league’s Apertura tournament in June. As “The Official U.S. Network of Pachuca,” Telemundo will have the exclusive Spanish-language rights across all its platforms – broadcast, online and cable – to all of the pre-season, regular season and, if they qualify, the playoff home games of the popular team. Founded in 1901, Pachuca is the longest-lived and one of the most popular soccer clubs in the history of the Mexican league. It has won five national championships and four CONCACAF Champion’s Cups. In 2006, the team obtained the Copa Sudamericana, becoming the only Mexican club to have ever won a FIFA tournament outside its confederation. Telemundo also holds exclusive rights of all Liga MX matches played at home by Club León, the current league champion, as well as the U.S. broadcast and online rights in Spanish language to the biggest soccer tournament in the world, the FIFA World Cup®, across all platforms (except radio), 2015 through 2022.